Helicopters, hazmat suits, fire extinguishers, search-and-rescue dogs — in many places, a summer camp boasting these kinds of things would likely be targeted at boys. 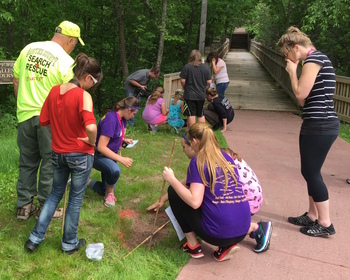 But in Ashland, Wis., Rescue Divas is a camp for middle-school girls that aims to attract new recruits to the field of emergency medical services. And it wouldn’t have been possible without the support of the Wisconsin Office of Rural Health (ORH), housed at the UW–Madison School of Medicine and Public Health. ORH distributes federal grants to more than 60 rural hospitals, clinics and other health care providers across the state. The office has a long history of funding projects that address a wide range of health care issues facing rural providers. This year, it’s placing special emphasis on supporting Wisconsin’s emergency medical services (EMS). “EMS is the heart and soul of health care in rural areas,” says John Eich, ORH director. In some areas, the nearest hospital may be more than an hour away, making emergency medical technicians (EMTs) a crucial part of patient care. 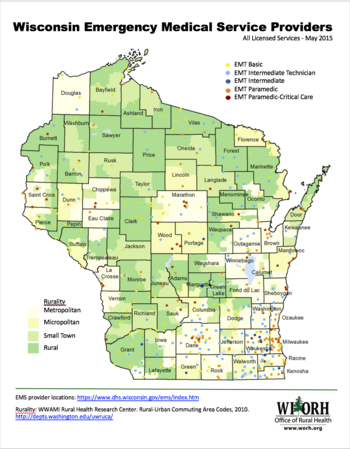 Yet little data exists on the overall state of EMS in Wisconsin — or on big-picture challenges facing EMTs in remote areas. ORH is preparing to launch an assessment survey that will offer a fresh look at health care in Wisconsin by providing not only new statistics, but also more in-depth feedback from EMTs. “This will offer a quantitative and qualitative roadmap to help us better target which parts of the state really need help,” Eich says. But the ORH team isn’t waiting on the survey to start addressing some well-known challenges. “Most rural EMTs are volunteers, so while they are professional in the sense that they’re certified and have the same standards as urban counterparts, they’re not able to do this as a full-time job,” says Kevin Jacobson, the ORH program manager in charge of rural community initiatives. 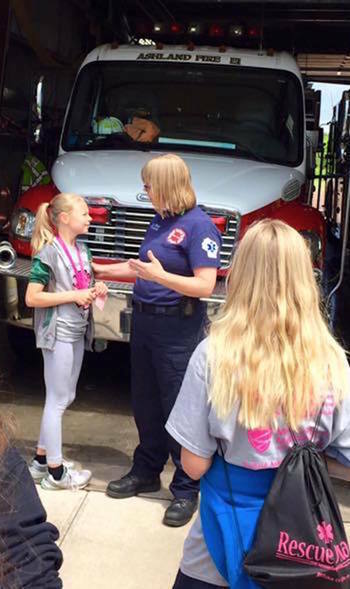 Two years ago, Okey approached Jacobson with an idea: a summer camp to inspire more young women from the Ashland area to become EMTs. “We would not have been able to do this without ORH,” she says. The first four-day session of Rescue Divas launched in June with 21 middle-school girls. Among many activities, the campers conducted a “search and rescue,” met an all-female helicopter crew, and completed certifications in CPR and first aid. In addition to facilitating the startup grant, Jacobson also helped Okey’s team develop a long-term plan to keep Rescue Divas sustainable. “Kevin puts people together with others doing similar things. He gets our vision and can offer statewide collaborations — we’re in such a rural, northern area, we don’t have those opportunities on our own,” she says. Innovative approaches to recruitment and retention are especially critical as communities begin experimenting with programs that expand the role of EMTs and paramedics. “There’s a new movement to get paramedics to function as providers-on-call, to follow up with people who have been discharged or to do home check-ins, like a visiting nurse,” says Eich. Last summer, ORH sponsored a forum on the topic that was attended by more than 100 hospital leaders and paramedics from Wisconsin, including representatives from the Reedsburg Area Medical Center and Reedsburg Area Ambulance Service. The two organizations recently launched a community paramedicine program that sends EMTs to check on patients in their homes. “Our hope is to help the hospital reduce re-admissions, but to also help people stay at home and follow their doctor’s orders so they continue to be healthy,” says Joshua Kowalke, director of the ambulance service. Read more about projects supported by the Office of Rural Health. The next session of Rescue Divas will be held in June 2016.